Question for World Rugby: What is a Risk ? A lot has been said about the risks of the Irish bid to host the 2023 Rugby World Cup. Inferior infrastructure; Inferior stadia; Inferior financial package. All documented in World Rugby's Host Selection Process Evaluation Report published this week. What about the rival French and South African bids? The criminality aspect of French anti-doping laws is considered a ‘risk’ to their bid. Ironic in the country that hosted the greatest doping scandal in sporting history (Lance Armstrong). A player who breaches these laws in a World Cup could be criminally prosecuted and end up in jail. This is a risk. A "lack of clarity around pitch dimensions” at soccer grounds is another 'risk' of the French bid. The Irish and French technological infrastructure was considered significantly inferior to South Africa. We can infer then that Inferior technology is another risk. What of the risks of the South African bid? Apart from general lip service to the risk of crime and an inability to fill stadia, it would seem strong, solid and risk-less bid. Read the introduction to the Report where one of the 7 key stated objectives for World Rugby in choosing a host venue is “an enabling environment of political and financial stability”. A ‘struggling South Africa’ was named by Time Magazine as among the top 10 biggest risks to the world in 2017. Struggling because they are led by President Jacob Zuma, one of the most corrupt political leaders in the World. Hardly an "enabling environment of political stability". As recently as March 2017, the South African city Durban was stripped of the 2022 Commonwealth games due to governmental financial difficulties. More proof of political and financial stability ? The World Economic Forum recently ranked South Africa as 16th of 136 countries in a scale of the most dangerous countries for tourists to visit in the world. That’s 3 places higher than the Democratic Republic of Congo. Let’s hope the actual vote considers these broader issues as risks. 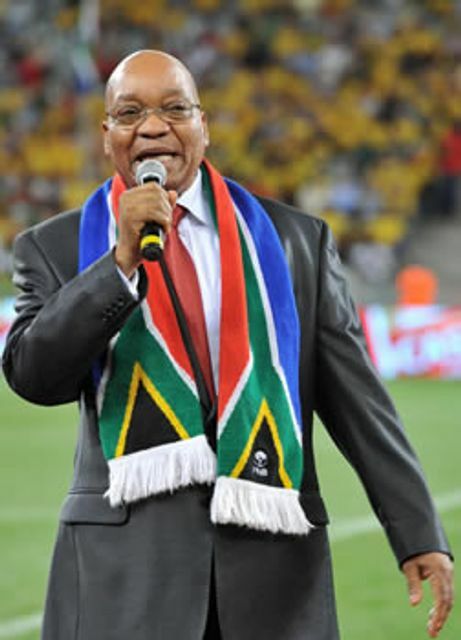 A win for South Africa would be great for the game in South Africa, but the double-edged sword is that it is an endorsement of Zuma.